We can’t say it often enough: we could never be as successful as we are now without our wonderful team! Here at Goodgame Studios, we not only offer on-site training courses to develop our employees’ skills, we also offer an opportunity for dual student-employees to develop their skills and knowledge under real conditions. Our colleague Julian, who’s been a member of the Goodgame team for more than four years, recently completed his dual study program. As the valedictorian of his class, he can now proudly display his Bachelor’s degree in Business Administration. Julian found out about this study program during a visit to a job fair. When he asked for the support of our CEO Kai three years ago, Kai was more than happy to help. Julian was the first dual student at Goodgame and currently works in our Customer Operations team. He is the Team Lead for customer support for English, Dutch, Greek, and Hungarian markets. Since his degree focused on service and service provision, he was able to take numerous academic or theoretical ideas and implement them in real-time practice. Staff management and project planning were also a significant part of his studies. This knowledge has been very beneficial for setting up subdivisions in Customer Operations, as with 120 employees, this department forms one of the largest teams at Goodgame Studios and is currently distributed between Community Management, Customer Service, and Live Bug Analysis. Although his practical experience definitely made this 3-year combination of studying and working – five weeks on the job, one at university – easier to manage, his accomplishment is no less impressive. 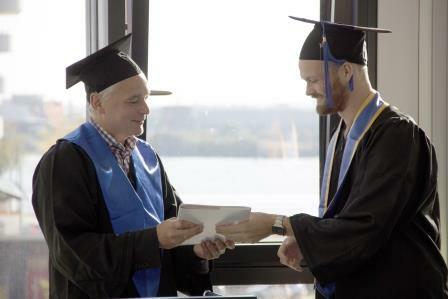 We’re proud of Julian taking this challenge head-on, and we’d like to congratulate him on his successful graduation!